The Greet Tent is moving into the Water Wise Expo this Sunday and using our usual location to host an info table on a great, upcoming community event. 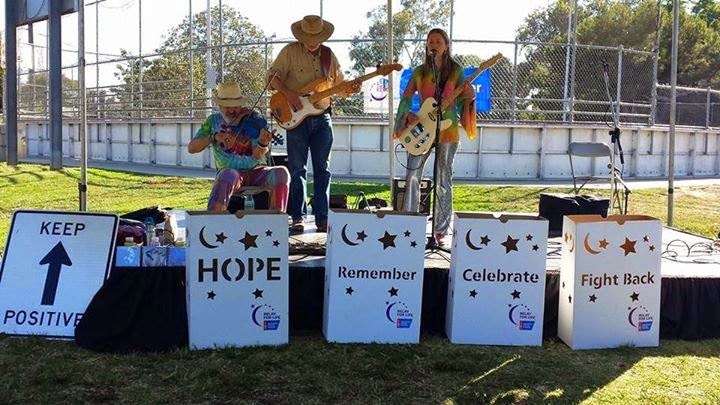 Please stop by to meet Elizabeth Roland, our community manager for the Mar Vista West LA Relay for Life. This is our second year for this wonderful community based relay/walkathon focused on celebrating cancer survivors, remembering those we've lost and supporting those who are fighting back! 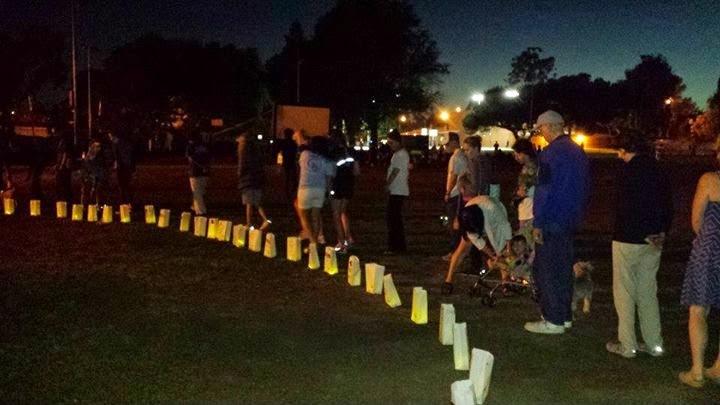 This year’s Relay is on July 18th from 11:00 AM to 10:00 PM. Stop by and learn how you can participate! 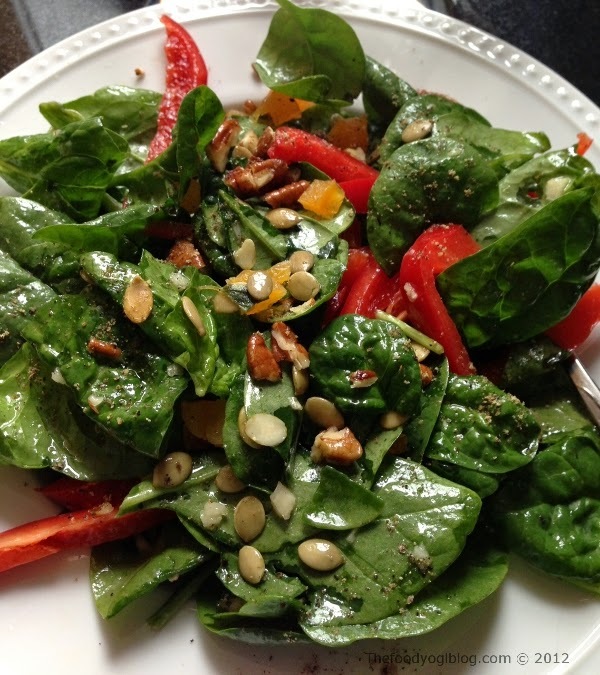 Well, spring has certainly sprung, apparently having bypassed winter…so drop by the Green Tent and get your salad on!! The UCCE LA County Master Gardeners return to the Green Tent on Sunday, March 22, from 9 a.m. to 1 p.m., with a whole lotta growing going on. Free plants and seeds will be available to all who stop by. And remember, it’s first-come, first-served till they’re gone. Slow Bolt Cilantro — just what you need in the context of heat waves that come and go. Rustic arugula — long lasting argula that stays leafy so you can harvest all season long. Here’s a great link for what to do in APRIL which is just around the corner. And for the waterwise among you (we hope that’s ALL of you), don’t forget to pick up great tips at http://www.bewaterwise.com/gardenspot.html. 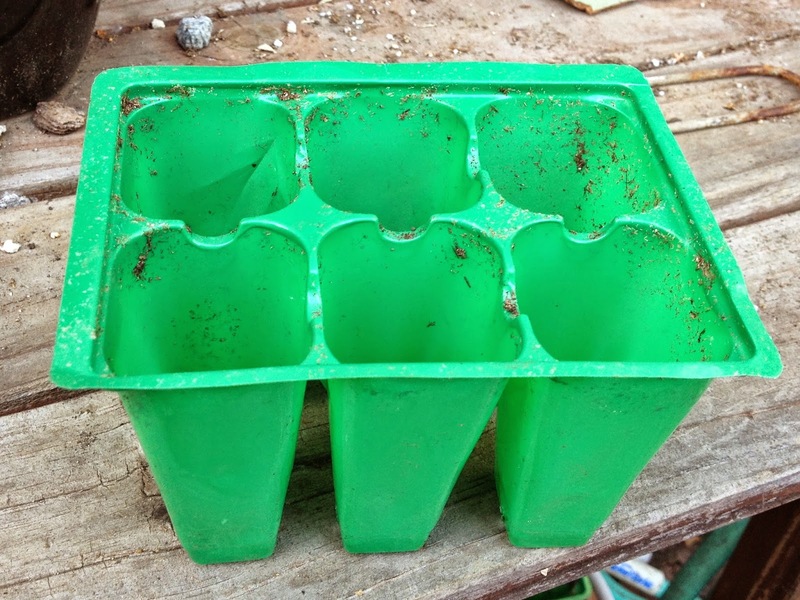 Finally, please bring your empty six-packs so the Master Gardeners can plant more seedlings for you. Did you know that nearly 15% of the world’s food supply comes from farms inside cities and at their borders? 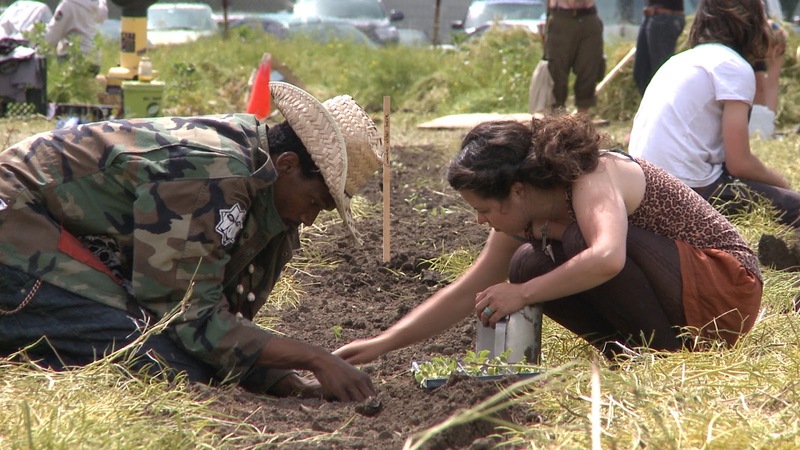 Urban agriculture may be more than a fad. 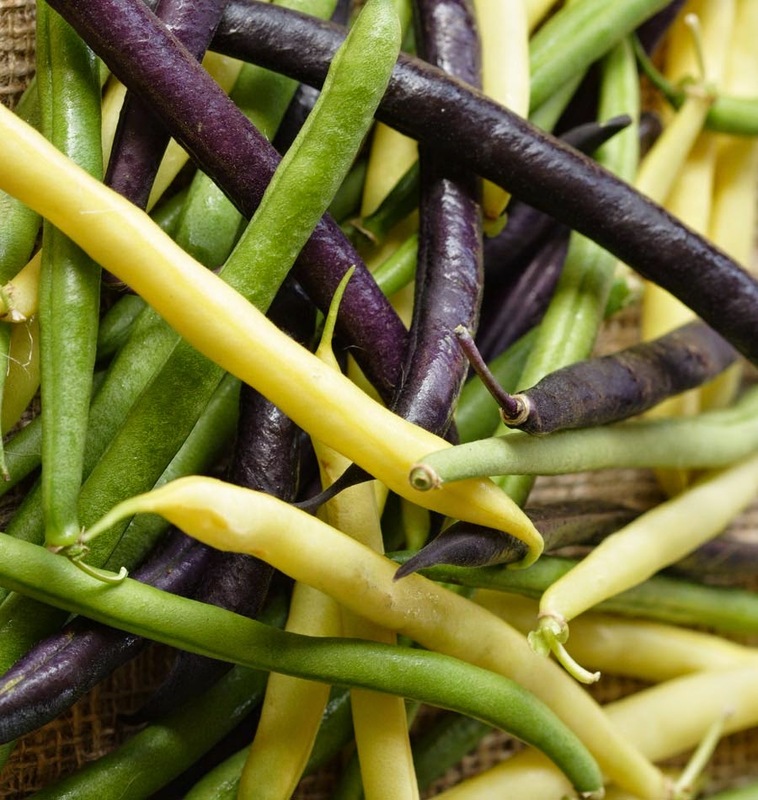 It could be an important supplement to the food supply and – in too many urban neighborhoods – it could be the only easily available source of fresh food. Urban farming is good for urban health, resilience and the environment – but what about land? 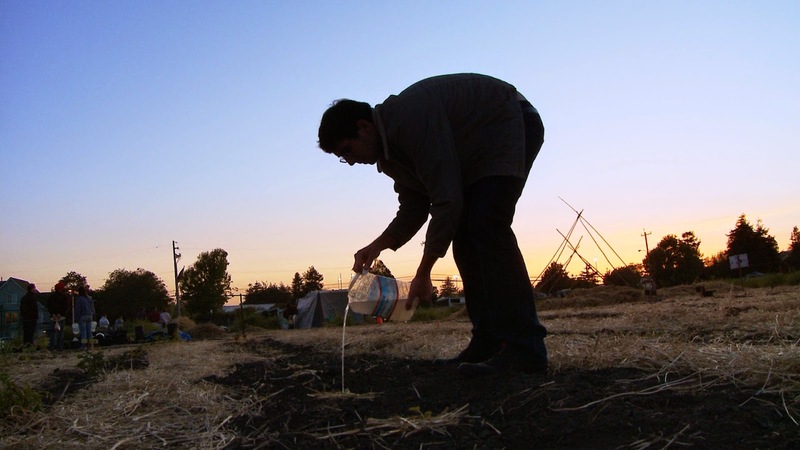 Film director, Todd Darling will be talking about the potential of urban farming, the role of political initiatives like AB 551 to make more urban land available to agriculture, and his new film, “Occupy The Farm” at this Sunday’s Green Tent. 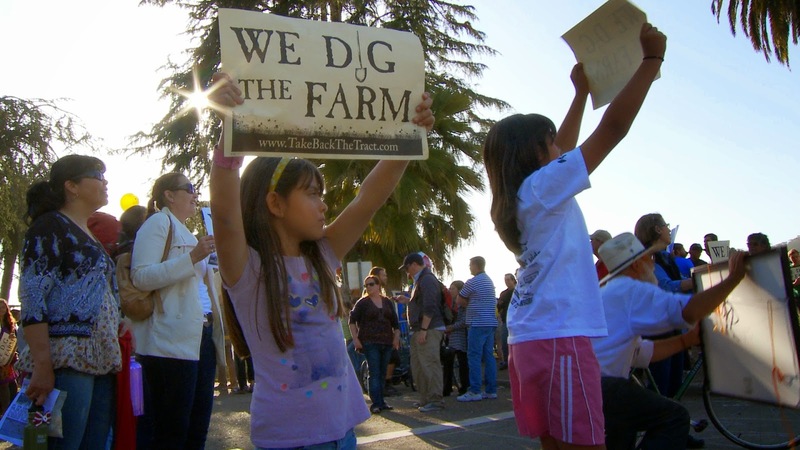 The film, “Occupy The Farm” screens at Laemmle’s NoHo 7 on March 30, Claremont 5 on March 31, and The Royal in West Los Angeles on April 1. Click here to see the trailer. Visit Facebook for the Royal screening event. Want to save water? 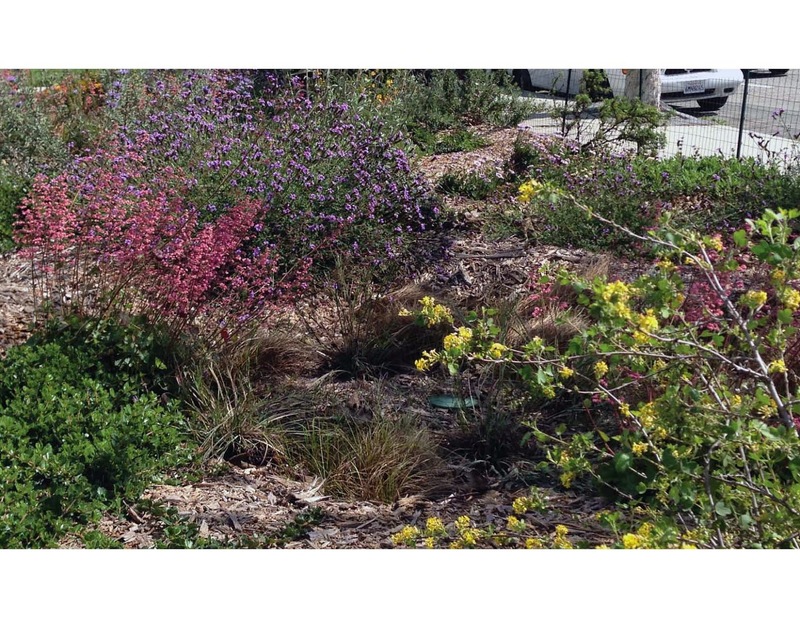 Ready to replace your thirsty lawn with drought-tolerant California Friendly Landscaping? Don’t know where to start? Then stop by the Green Tent this Sunday, March 8th, and learn about the free California Friendly Landscape Training classes and “Lawn Be Gone” hands-on workshops offered by the Los Angeles Department of Water and Power. Attend a California Friendly Landscape Training class, and in three hours will learn the essentials of how to transform your lawn into a beautiful, drought-tolerant California friendly landscape that that sponges up water and nourishes your plants without fertilizers, provides food and shelter for pollinators, and uses rainwater as a resource to minimize and even eliminate the need for supplemental irrigation. Then come and play in the dirt with us and apply your new knowledge in a three-hour “Lawn be Gone” hands-on workshop where you will participate in installing a rain barrel, successfully removing lawn without harmful chemicals, building a rain garden to capture and retain rainwater, and making “soil lasagna” (sheet mulching) to build healthy soil ready for planting. DWP customers who attend a Lawn Be Gone hands-on workshop will receive a coupon for free garden coaching. How do I sign up for the DWP $3.75 per square foot turf removal rebate? How do I sign up for a free California Friendly Landscape Training class? How do I sign up for a free Lawn Be Gone hands-on workshop? How do I apply to host an upcoming Lawn Be Gone hands-on workshop? Where do I find California native and California Friendly and California native plants? Where can I find qualified professionals to help me with my project?